Family Paint Special!! For every adult ticket purchased, two kids can paint for only $15 each. 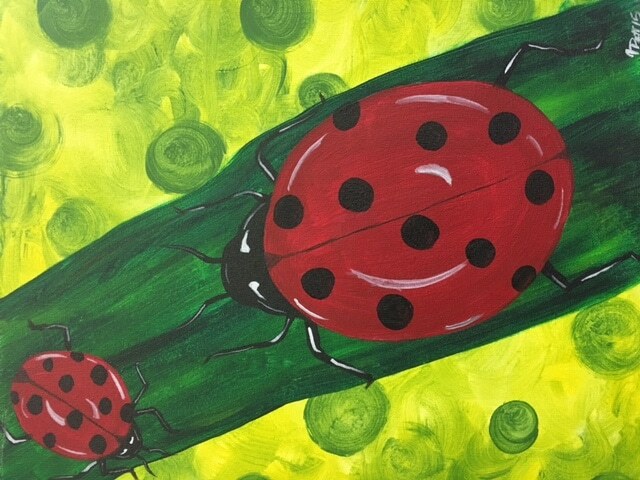 Come in and paint “Ladybugs” with us! One of our fun instructors will paint along with you, teaching you step by step over the course of this two hour event.